Which of Disney's wicked villains do you love to hate the most? 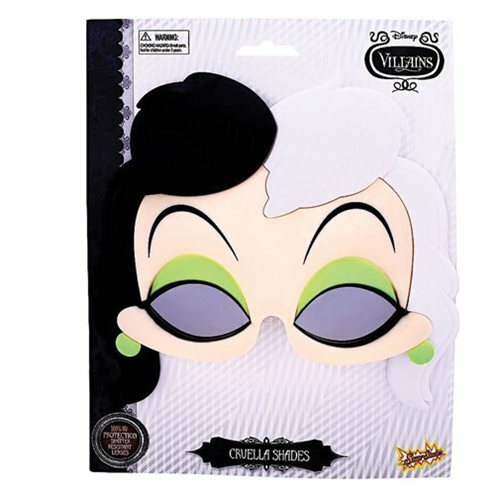 If it happens to be Cruella de Vil from Disney's 101 Dalmatians franchise, you can enjoy portraying her by wearing these terrific Disney Villains Cruella de Vil Sun-Staches. One size fits most, and the shatter-resistant lenses feature 100% UV400 protection. Ages 14 and up.